Many men and women alike start going through a change when they hit 40 years old. They sit back and look at their life and would like to recoup some of their younger years back. This is why they say people have a “mid-life crisis.” But this isn’t really a crisis as much as a reflection on life. One aspect of their lives is their body. When they step back and start to look at their body, they realize that it can usually use some improvement. 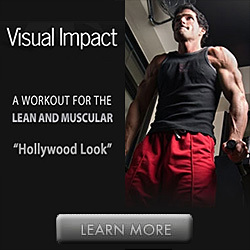 Many would like to add a little muscle, gaining a more youthful figure than what is there. So they work on building muscle after 40 years of age, but come across a hurdle. It isn’t an easy feat like it used to be when you were in your 20’s and even your 30’s. In fact, building muscle after 40 years of age can be a physically painful process. You can put on muscle once you reach your 40’s but it has to be done with a slower process. You can’t just hit the weights and expect your body to recoup as it did when you were younger. Here are some tips to putting on the muscle that you desire, without feeling like you are walking around like an old man or woman all the time. First of all, make sure that you warm up before each workout. A good 15 minutes is a must before taking on cardio or lifting any weights. What this does is increases your core temperature and the blood will get flowing for your workout ahead. Be mindful of the amount of reps that you use as well. It needs to be in a higher range if possible. 8 reps is a good start, but even 12 reps all the way up to 15 reps will work better, but you are in a better position if you start off with 8 and work your way up to 15. This is because if you use heavy weights and low reps, it will stress out your ligaments and joints in your older body and your muscles won’t be able to regroup quickly like they could whenever you were a youth. Free weights and machine weights used together are also a help when you are working on building muscle after 40 years of age. When you were younger, you may have just used free weights. But your body is now in a weaker state, and your muscles don’t stabilize like they used to. So machine weights will lower your risk of injury. It is important that you work on your form. When you are young, the body will forgive you, even if you are not lifting with correct form. But if you are older and don’t lift correctly, it can lead to injury. It takes longer to recover, so you are going to need more rest than when you were a youth. This is going to be on a personal level, because each person is different. So it is up to you to determine how much rest you are going to need. Make sure that you put in some cardio because anyone that is past the age of 40 is going to have a slower metabolism than when they were younger. If you have regular sessions of cardio, then it will build up your metabolism, helping you to build up your muscle. Building muscle after 40 years of age isn’t an impossible feat. With the right cardio, the proper amount of reps coupled with both free and machine weights, as well as rest, you can reach your goal of building muscle, even though you are past the bloom of youth. Kevin is a qualified Strength Coach and he also holds a Degree in Human Movement Science, with a Major in Exercise Science. With over 20 years experience in the fitness industry Kevin combines his knowledge, his no-nonsense approach and cutting edge methods to produce lasting results for many individuals, athletes and local teams he has worked alongside. 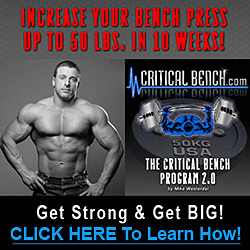 For more help from Kevin, be sure to check out all the powerful muscle-building help he has for you on his Muscle Building Over 40 website. Also, be sure to follow Kevin on Facebook, Pinterest and https://twitter.com/muscleover40 for even more help! This entry was posted in Building Muscle Mass and tagged building muscle, building muscle after 40, cardio, muscles. Bookmark the permalink. some very sound advice here, i have clients making a lot of progress with tips similar to the ones given. cheers. Great tips! Older people should definitely work out and not be discouraged if they don’t get the quick results they were expecting. Johnny B. recently posted..What Causes Tonsil Stones?